“We are pleased that our Berlin office together with London, New York and Washington will be a focus office for our foundations,” said Open Society Initiative for Europe co-director, Goran Buldioski, denouncing popular measures by Hungarian premier Viktor Orbán to limit the activities of far-left NGOs funded and coordinated by OSF. Towards the end of last month, OSF announced it would take the Hungarian government to court over its “Stop Soros” legislation which features measures including a 25 percent levy on NGOs which promote open borders, and the outlawing of assisting illegal immigration. As Breitbart London reported in May, when the organisation announced it would be closing its Budapest office, OSF chief Patrick Gaspard blasted Budapest for “using tactics unprecedented in the history of the European Union” to “denigrate” and “repress” the group’s work promoting far-left culture change and policies in Hungary. OSF vowed to “pursue all available legal avenues to defend the fundamental rights that are threatened by the legislation”, which the Fidesz government went ahead with after winning a landslide victory in national elections in April, when Orbán and his party ran on a platform of protecting the country’s borders and Christian identity. The western mainstream media almost invariably portrays the work of OSF in a similar light to how the organisation portrays itself, claiming the international grantmaking network furthers causes like “human rights” and “democracy”. 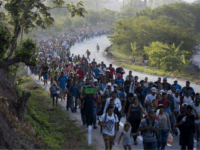 However, as well as pushing issues that are deeply unpopular with electorates in the countries in which it operates — such as mass, third world migration — other policies championed by OSF have been blamed for causing violence and chaos. Activists and campaign groups funded by the network in Britain condemn stop and search as “racist”, while senior officers insist it saves lives. Following a massive cutback in the use of the policing tactic, levels of knife violence and murder on UK streets soared. In addition, earlier this year author and sociologist Frank Furedi said he had witnessed young globalist activists working for Soros, who he dubbed the billionaire’s “missionaries”, boast about their role in toppling governments around the world including in Libya, Egypt, and Ukraine. 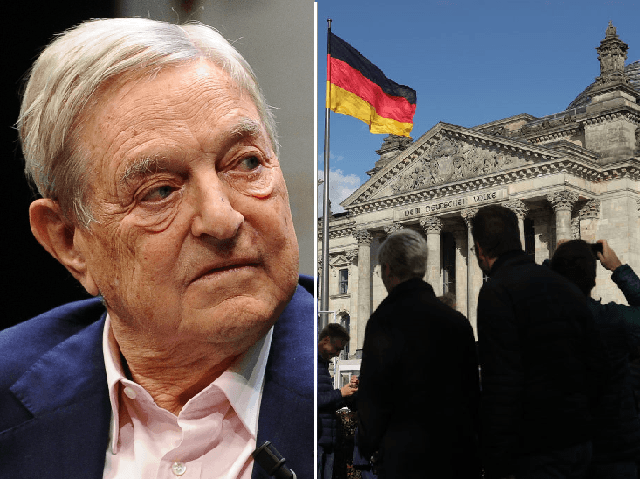 Recalling his experience at an Open Society Youth Exchange in Hungary in 2013, he wrote: “Soros believes that if the people voted the wrong way, he is entitled to thwart decisions made by them. “Soros does not believe in the legitimacy of borders nor in the authority of national electorates. Consequently, he feels entitled to influence and if possible direct the political destiny of societies all over the world,” the sociologist said, writing in the Daily Telegraph.